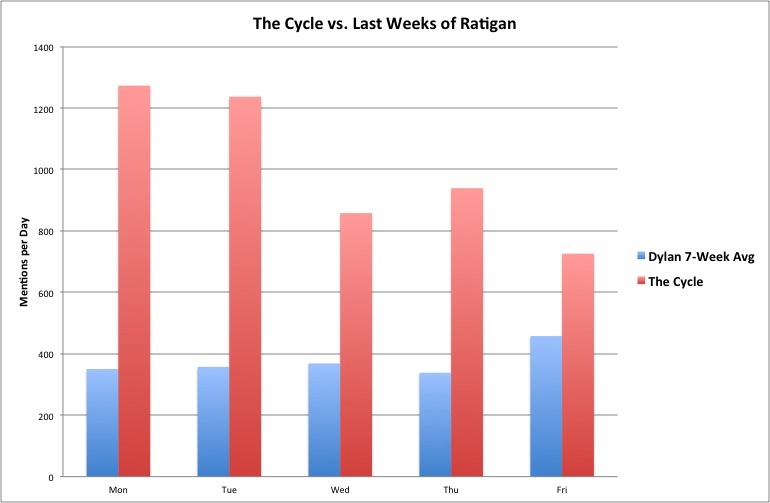 This week saw the debut of the replacement for The Dylan Ratigan Show on MSNBC, The Cycle. And what a newsy week it was to start! So how did the gang of four do on Twitter? Not bad — it’s a nice boost in activity. The Cycle’s team has definitely engaged with their audience on Twitter. Candidates like you have been growing their use of Social Media in the last few years, but there’s still a lot of uncertainty for many candidates about exactly what to do. Twitter has recently come to the forefront of the news in the current presidential election cycle, but even today we are still at the very early stages of learning how to harness it to get elected. 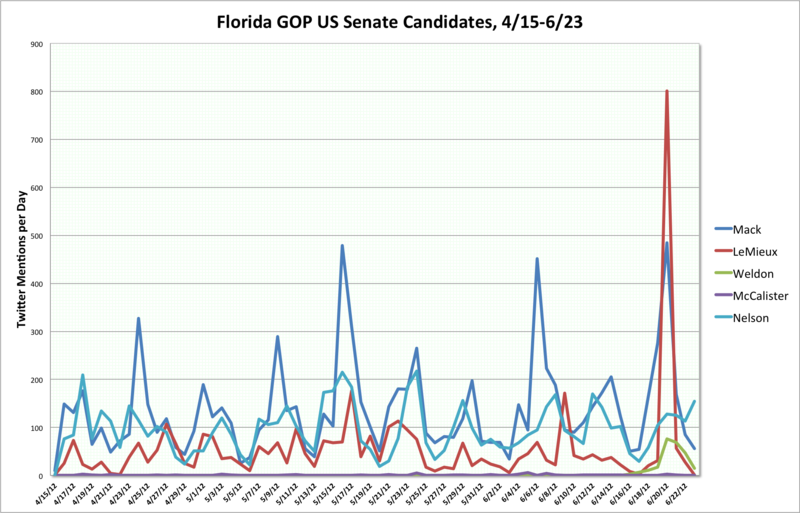 Previous election cycles had not made as heavy use of Twitter, and so it’s still a new frontier in politics. Twitter has grown to around 140 million subscribers, and even for smaller races there are enough people using Twitter to make it a necessity: if you don’t use Twitter to reach voters, your opponent most certainly will. Candidates cannot afford to ignore Twitter, nor can they afford to misuse it. Unfortunately, knowing that you should use Twitter is not the same thing as knowing how to use Twitter. One of the goals of this web site as a whole is to explore how people are using Twitter and to measure their effectiveness: I want to identify best (and worst) practices. Still, it’s a long way from the analytical research to an effective guide on what to do, and reading through pages of reports is not the quickest way to get up to speed. 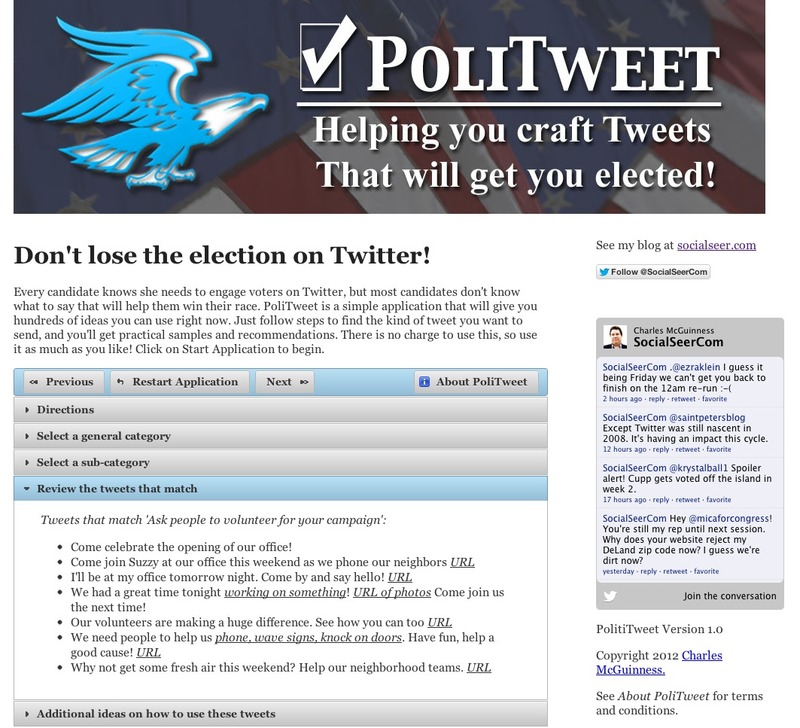 To fill that gap, I’ve created a new web-based application called PoliTweet. 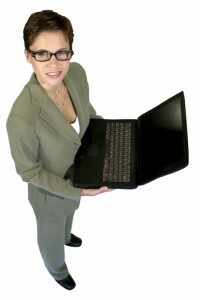 In two steps, it identifies your immediate needs and gives you templates you can quickly use to compose on target tweets. By using it on an ongoing basis (at least until you are a Twitter master yourself! ), you can have a Twitter feed that is constantly interesting and engaging, giving you a strong connection to your voters. On June 19th, Ken Detzner, Florida’s Secretary of State, sent a letter to the Department of Homeland Security (this opens in a second window if you wish to read it) secretary Janet Napolitano restating Florida’s desire to get access to the federal SAVE (Systematic Alien Verification for Entitlements) Program database and rebutting the grounds given in the Department of Justice’s letter for not granting access. His letter tried to achieve two goals. First, it tries to demonstrate that the process used to identify suspected illegal voters was fair, accurate, and diligent. Second, it rebuts the DOJ’s statement that the state did not meet the technical requirements necessary to access the federal database and show that the state should be granted access. The short answer: No and No.